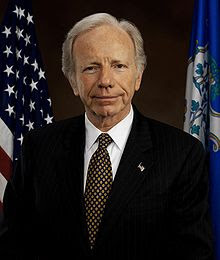 Independent Senator Joe Lieberman said today he will back a GOP filibuster of Senate Majority Leader Harry Reid’s health care reform bill unless the public option is removed. No Republican Senator is expected to vote for Reid’s health care reform bill. This leaves Majority Leader Reid short of the 60 votes he needs for cloture. Although Lieberman may vote for cloture to allow the Senate bill to be debated, he is saying he will not vote for cloture when it comes to voting the bill out of the Senate.